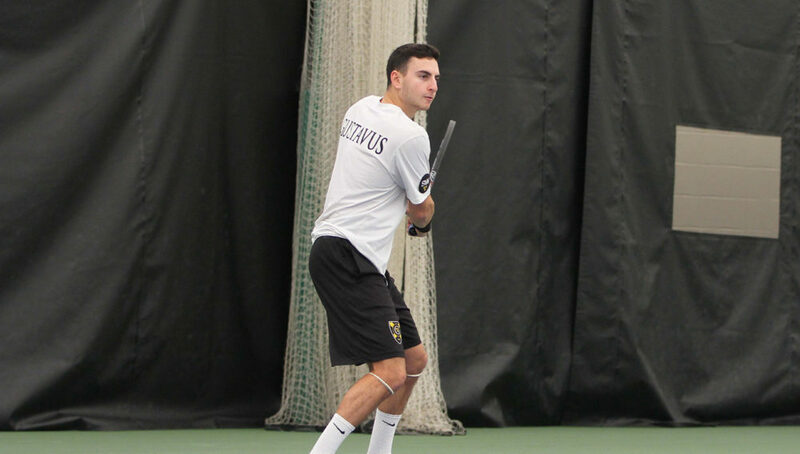 ST. PETER, Minn. – The Gustavus men’s tennis team opened its spring season home opener with three wins Saturday at the Swanson Tennis Center. The No. 20-ranked Gusties defeated the University of Wisconsin-Eau Claire 7-2, earned its first conference win over Hamline University 8-1, followed by a 9-0 win over the University of Northwestern-St. Paul to improve its record to 4-2 overall on the season. Next Saturday, Gustavus hosts four matches at its home court. The Gusties will take on Bethel University, Morningside College, Augustana University, and Central.